A Visitor is a person who visited one of your Wishpond campaigns but did not provide an email address to track them with. There are no limits to the number of visitors you have. 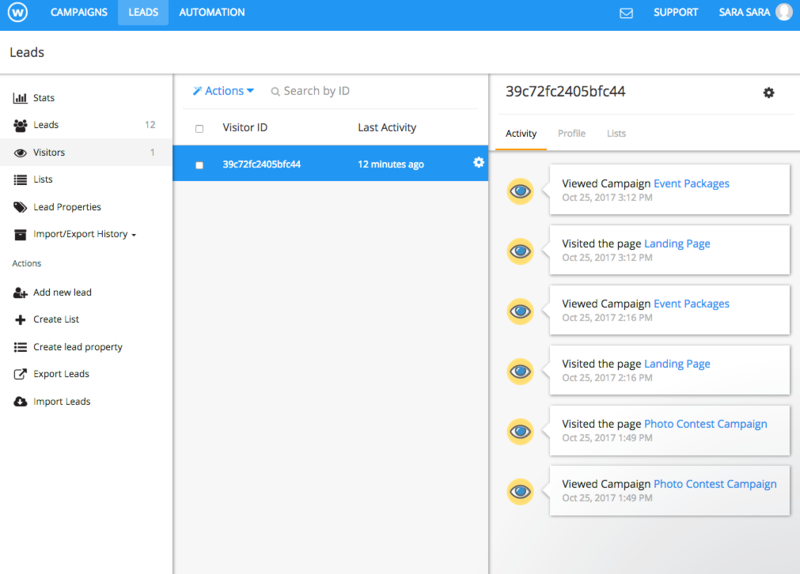 We can track visitors across all of your Wishpond Campaigns as well as on all pages that have the Wishpond tracking pixel installed. When a Visitor submits a form with their email address, they will be converted to a Lead and all of their Campaign and web page history will be merged into their new Lead Profile.